*Ruggedness section updated on December 27. With Nextel Direct Connect becoming an increasingly niche market, more and more users are switching to the more feature-rich Sprint network. 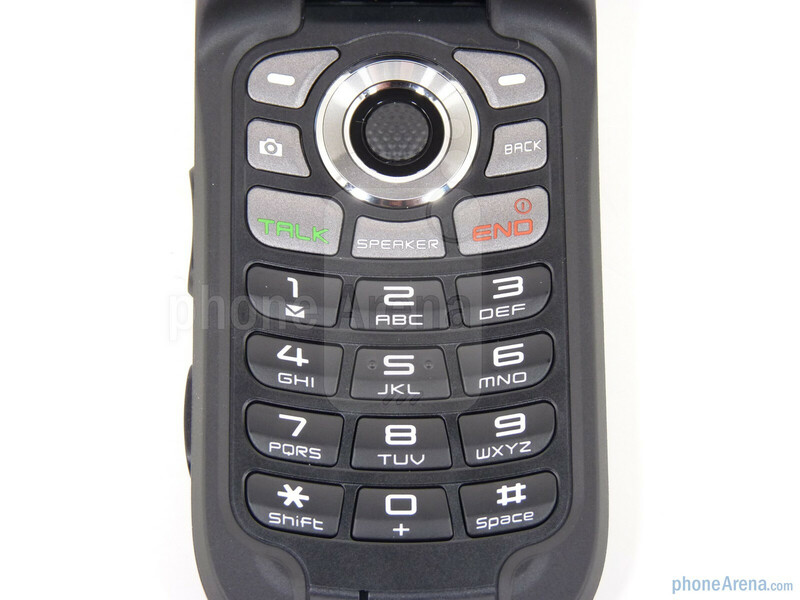 One of the main draws to Nextel, however, was its unmatched lineup of military spec phones. 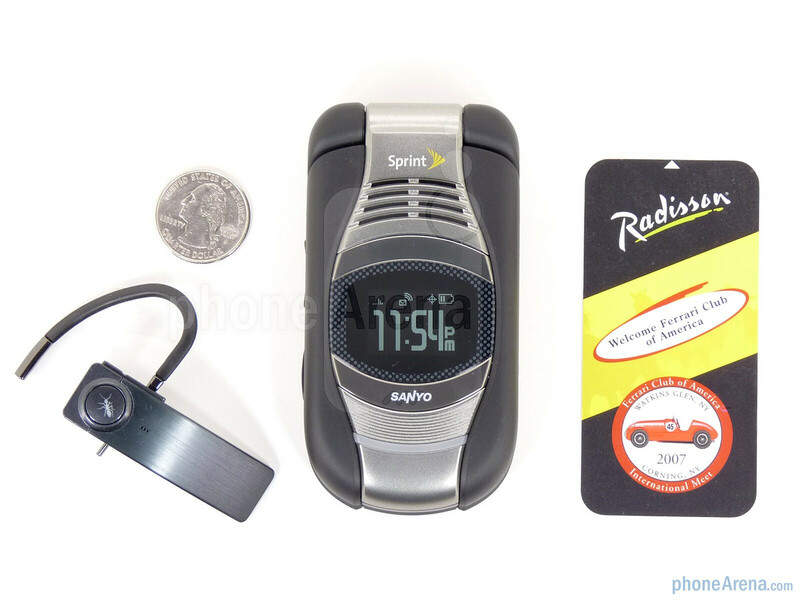 Sprint has dabbled in this field, first offering the Sanyo 7050, then the Motorola Renegade and Sanyo Pro-700 Direct Connect on Sprint phones, but not until the Sanyo Taho by Kyocera has there been a full mil- spec phone available to Sprint users. The Taho is certified to military standards 810G, meaning that it can withstand dust, shock, vibration, extreme temperatures, blowing rain and up to 30 minutes of full submersion in one meter deep water. 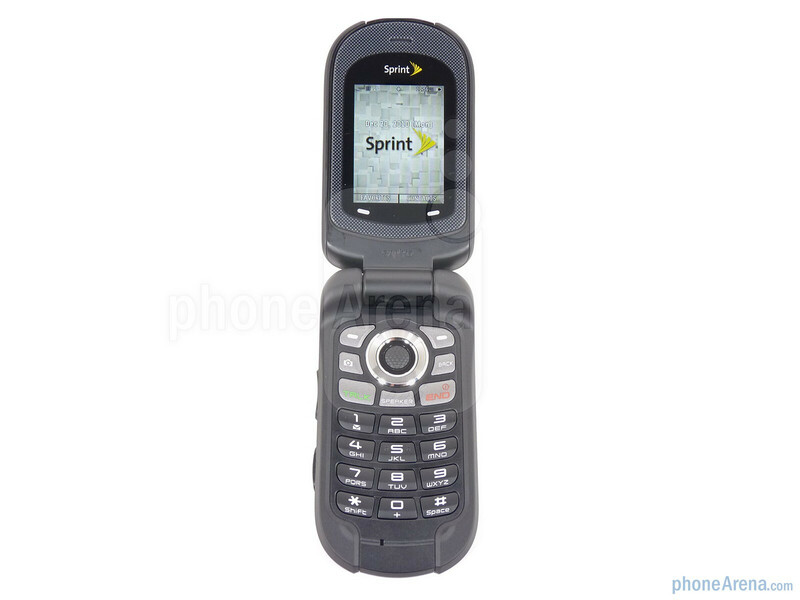 This phone even surpasses the Motorola Brute in terms of what it can withstand. Included with the Taho you’ll find the AC adapter, Li-Ion battery and a pre-installed 1GB microSD card. 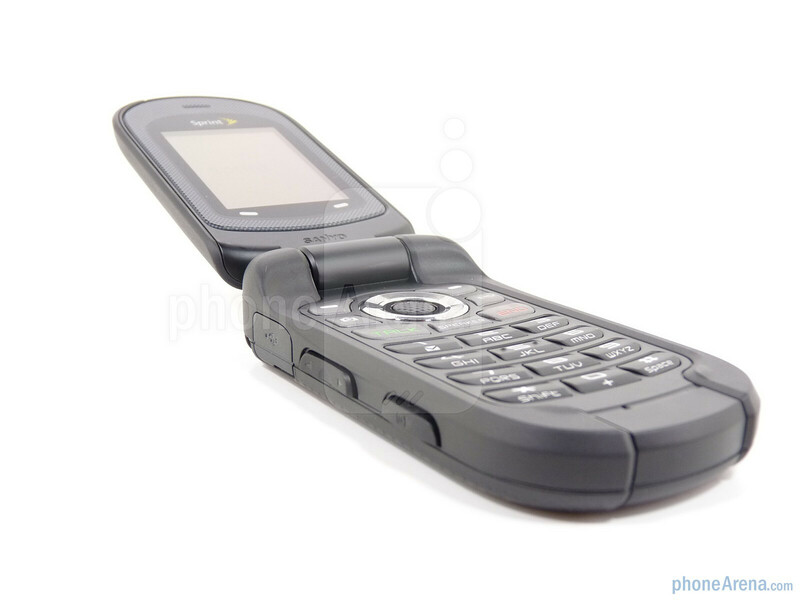 As a mil spec phone, the Taho was not designed to be pretty. It’s something you’d likely find in Mike Rowe’s pocket (with all due respect to the Motorola i1) rather than Paris Hilton. 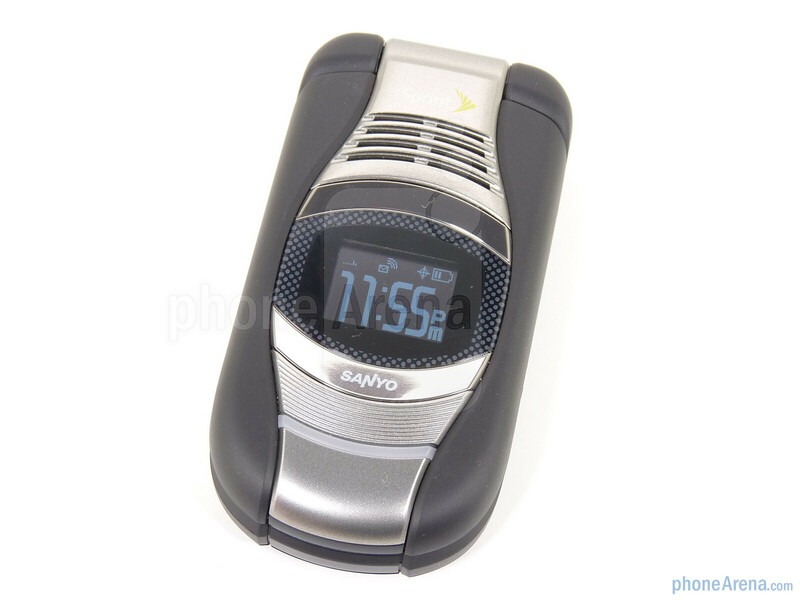 It is styled in typical Sanyo fashion with over-exaggerated features, such as a giant speakerphone, large monochrome front LCD and 2 megapixel camera on the back in faux metal trim. Despite its over-the-top features, the Taho still manages a professional, almost elegant design. 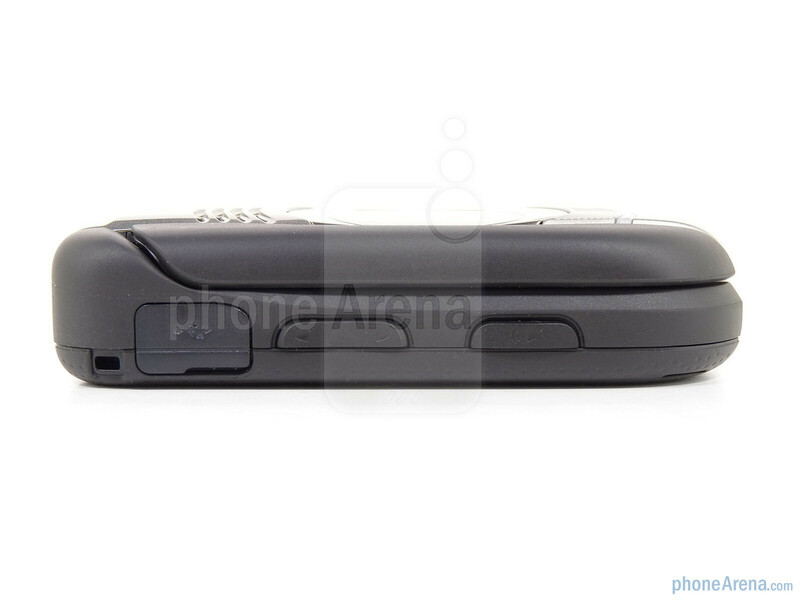 The mix of black and silver works well, and the pockmarked back gives the phone a tough appearance. At 4”x2”x0.9”, the Taho isn’t a small device, but then again its target audience wants something they can hold onto, not some waif of a phone. You can compare the Sanyo Taho with many other phones using our Size Visualization Tool. 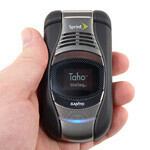 The Sanyo Taho is billed as having an “ergonomic design,” though to us it seems like a relatively normal flip phone. It is comfortable to hold, however, and thanks to its Dura-Grip coating the Taho won’t easily slip out of your hand. The flip is very solid and when opened reveals a 2” QVGA TFT display. Though small, the display is quite sharp and fairly easy to read in direct light. The outer display is 1” and a monochrome white-on-black and readable in any lighting condition. 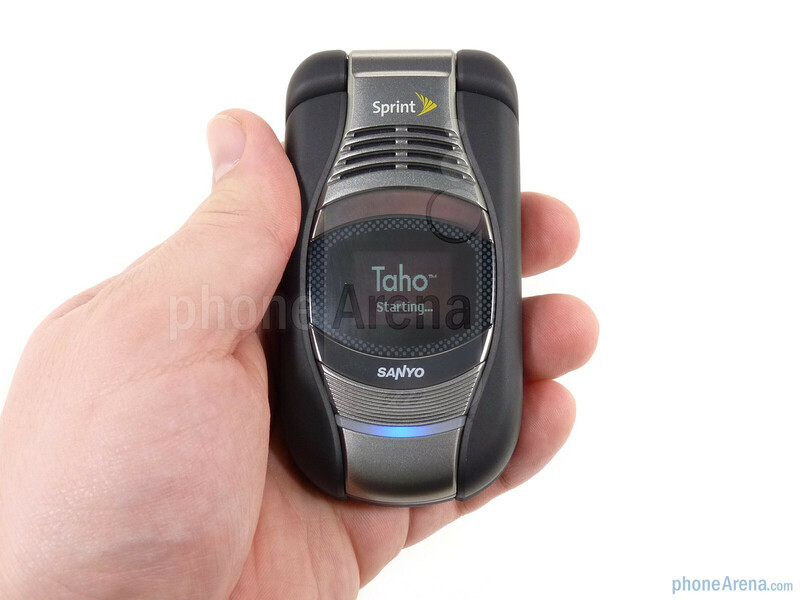 The Taho sports a traditional 12 key keypad, with dedicated Speaker, Back and Camera keys to go along with the Send and End keys, right and left soft keys and a 5-way directional pad. The keys are slightly slippery, but large enough and well-spaced so that is not a problem. They offer a reassuring feel and slight click when pressed. The center of the d-pad has goosebumps and is large enough that it almost feels like it should be an optical pad, but alas is not. 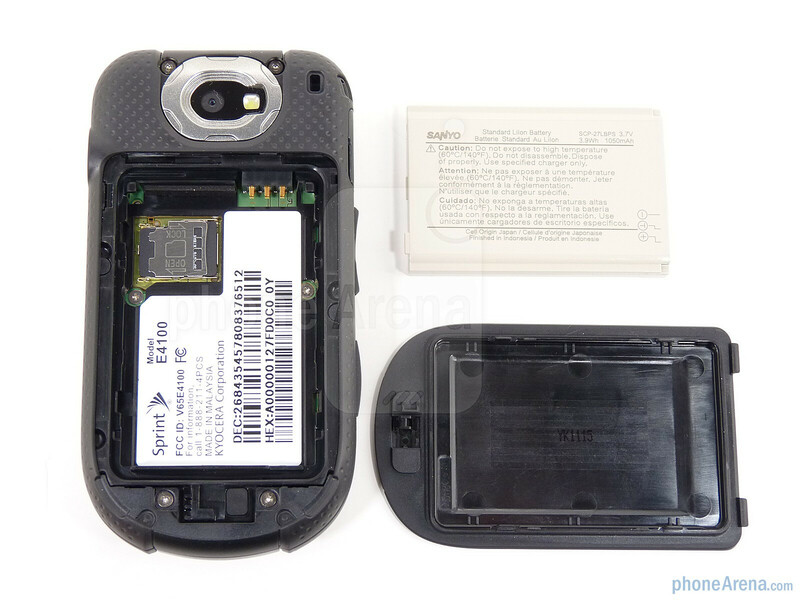 On the left side of the Sanyo Taho by Kyocera you’ll find the volume rocker and camera key, as well as the microUSB charging/data port. 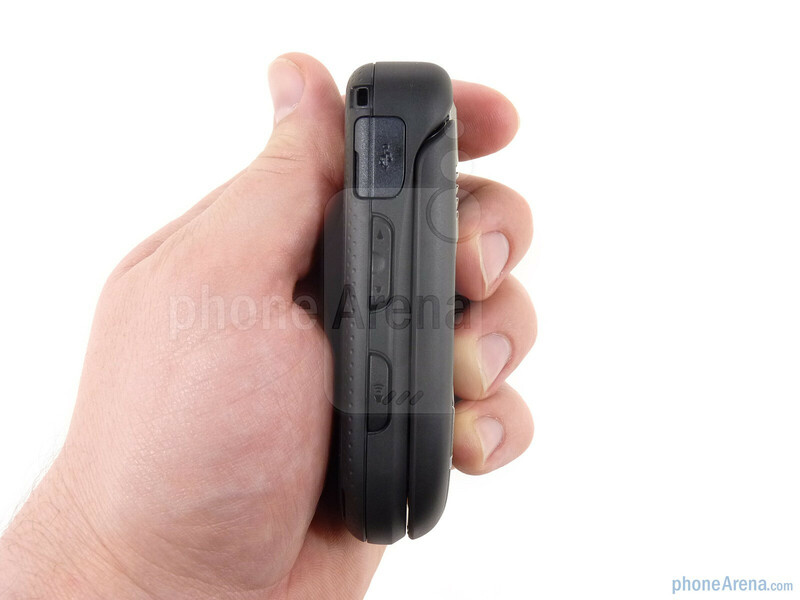 The right side simply features the 2.5mm headphone jack, while the bottom and top are bare. The ports are of course well-constructed and fairly recessed to ensure that the Taho remains waterproof. 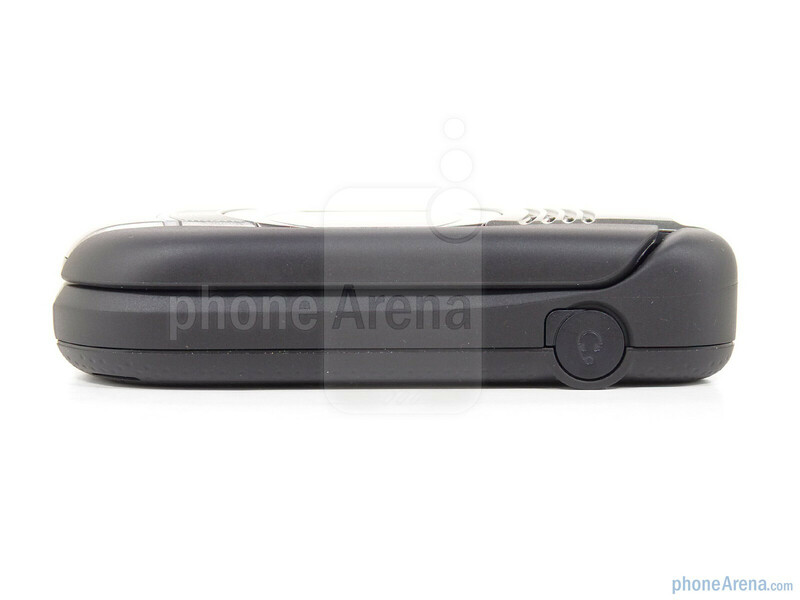 The front of the phone draws your attention to a large speakerphone up top and the 1” display, but below that is a slick LED indicator that is well-integrated into the curved lines of the Taho. 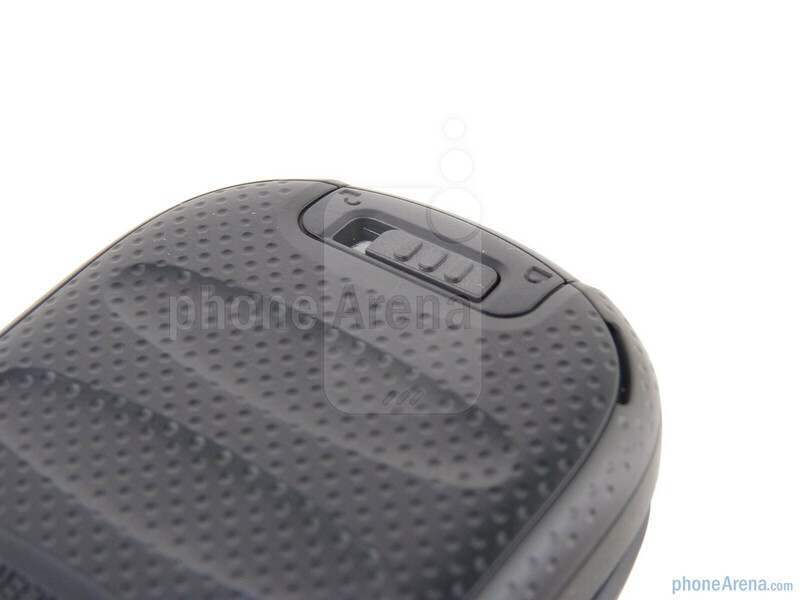 The battery door is dimpled with oval impressions that give the Taho a modern look. The door has a locking mechanism to keep it water-tight. Above the door is the 2 megapixel camera with LED flash. It may be fake, but the silver trim enhances the Taho’s rugged appearance. 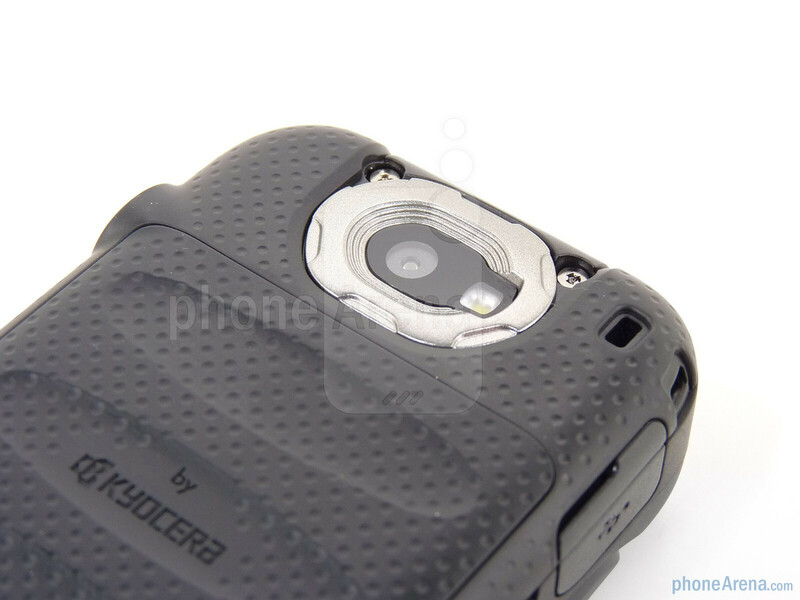 It comes as no surprise that such a rugged phone has a great build quality. There is a small amount of side-to-side play in the flip when closed, but this disappears when opened and is not a major issue. The flip motion is smooth and snaps open and closed on its own once you get it started. 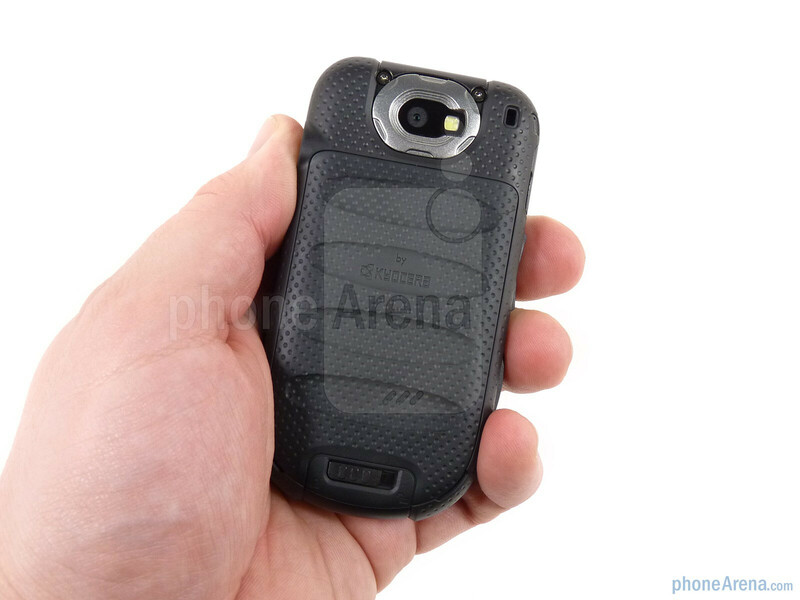 For users of rugged Nextel phones like the Motorola i580 or Brute the Taho will feel very natural, if not a bit more modern. The Sanyo Taho is a well-built phone that feels like it will withstand a beating.